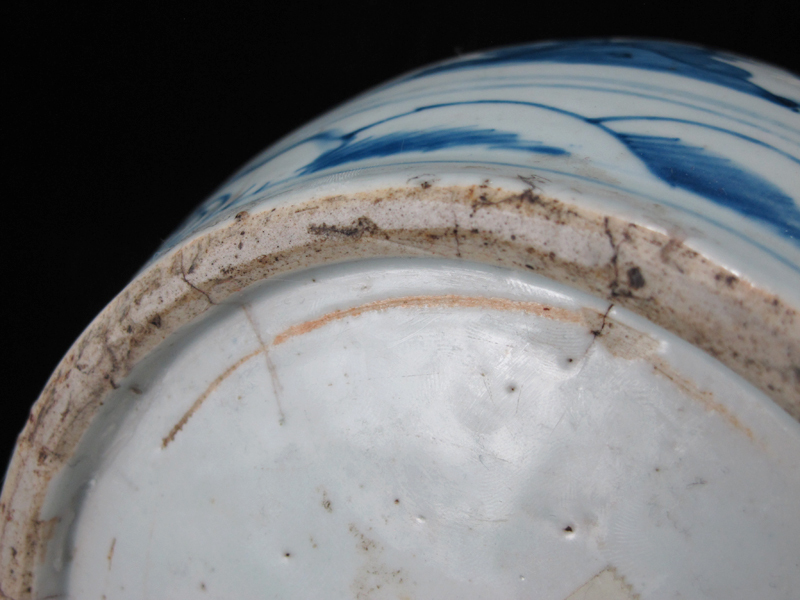 Very good condition: original firing cracks to foot rim with associated glaze lines (all original and does not effect body). 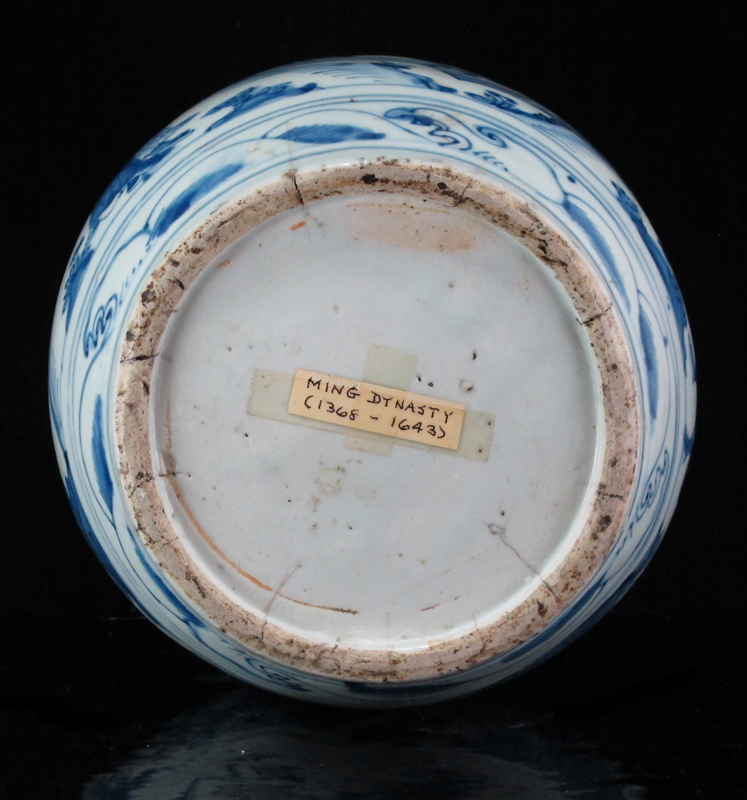 Typical late Ming fritting to rim. 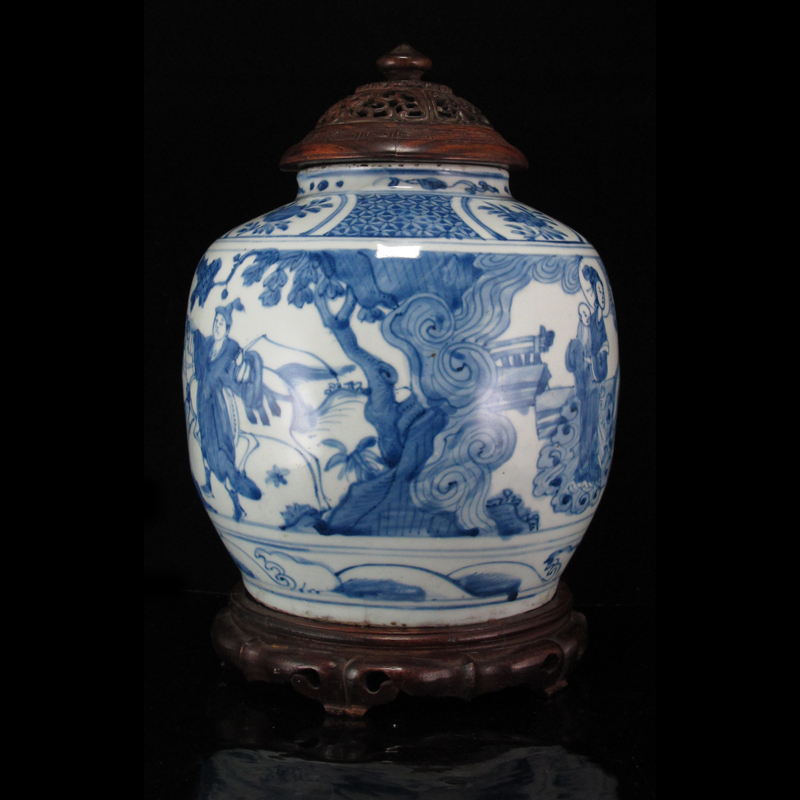 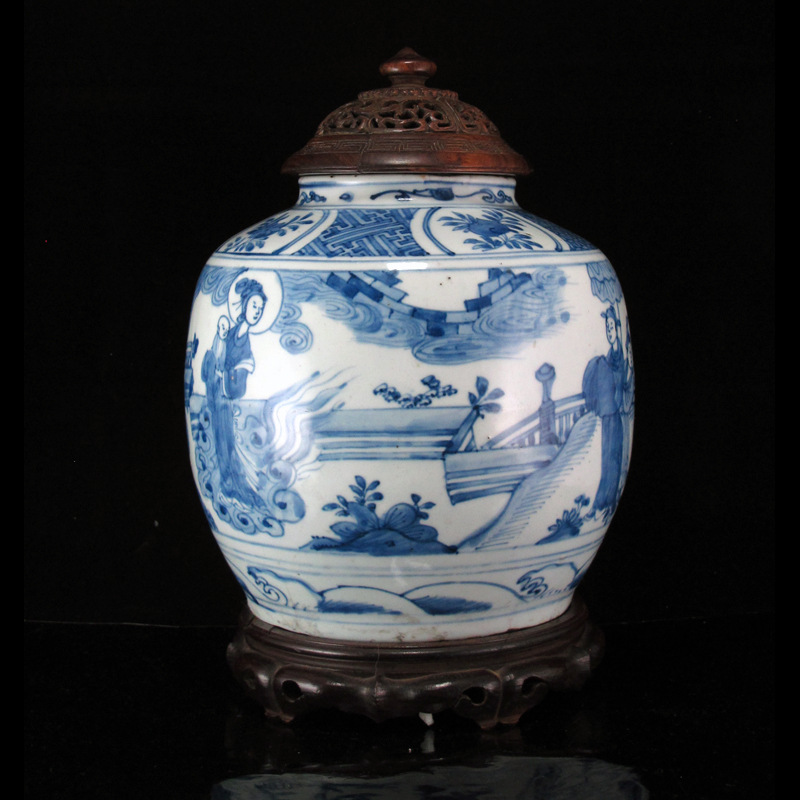 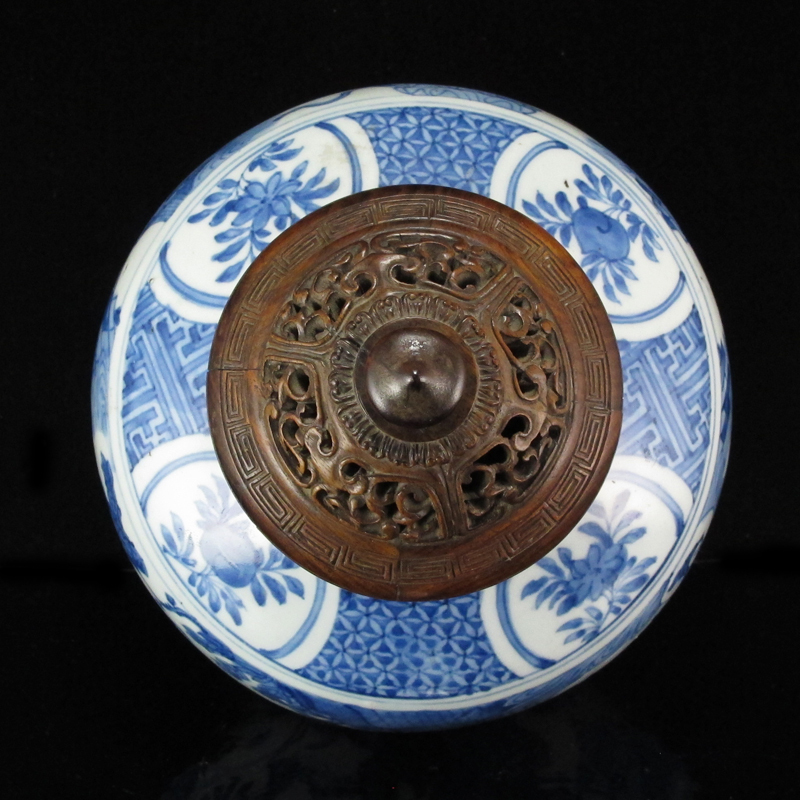 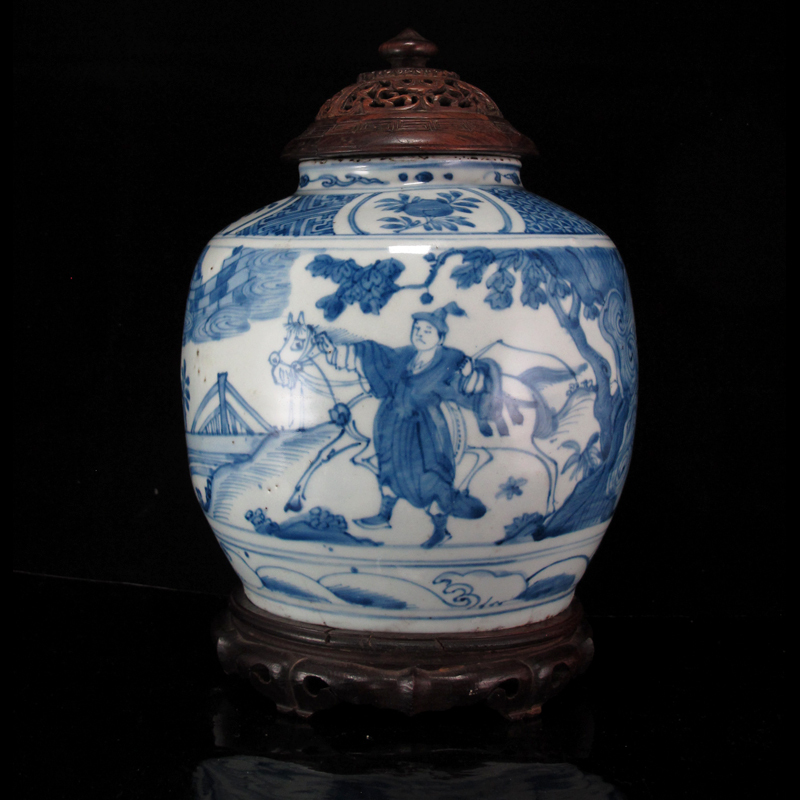 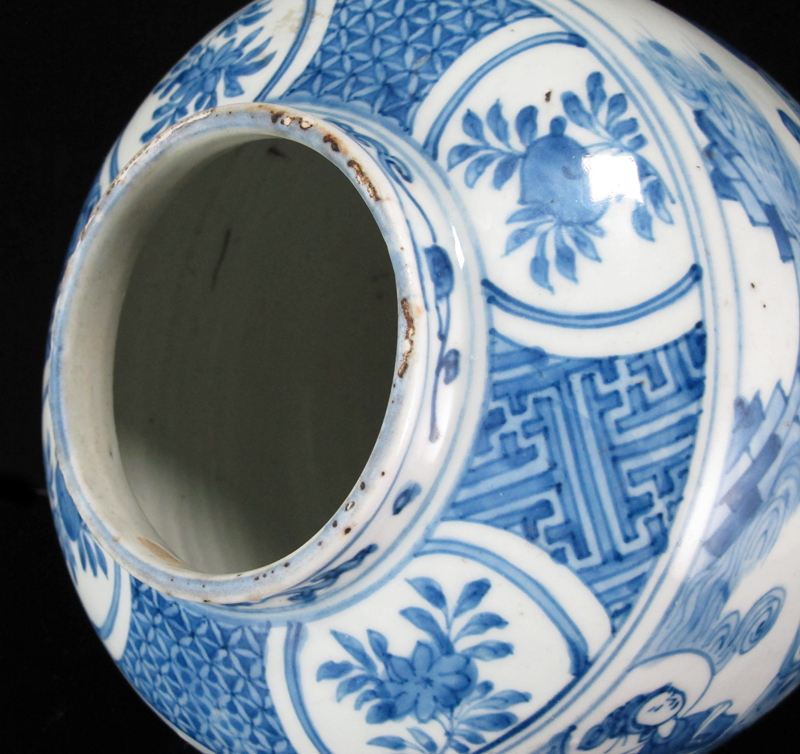 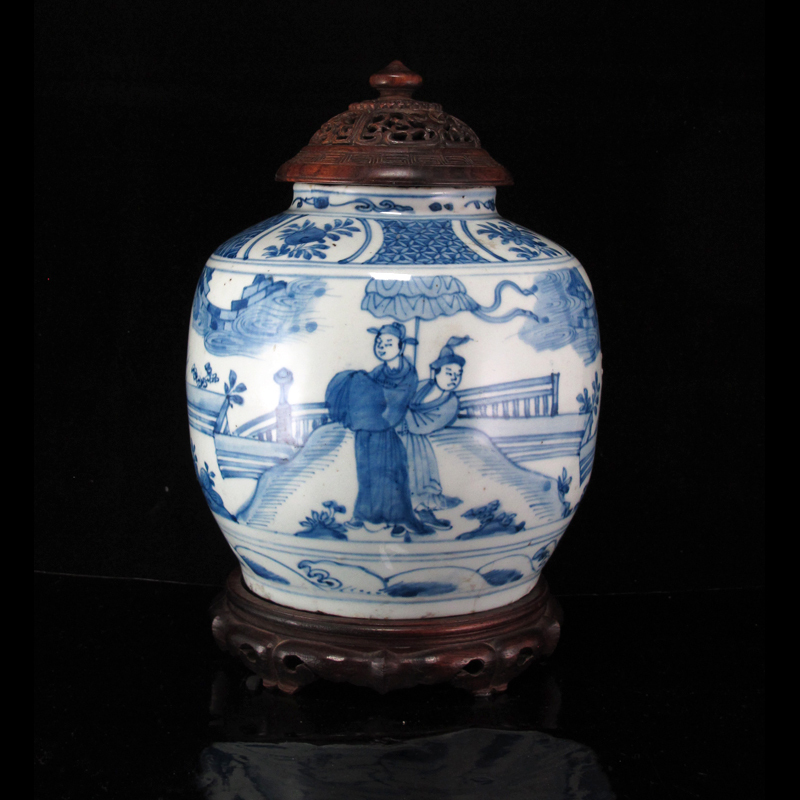 An elegant and well-crafted late Ming Wanli period blue and white jar, with beautifully luminous glaze and a sturdy body. 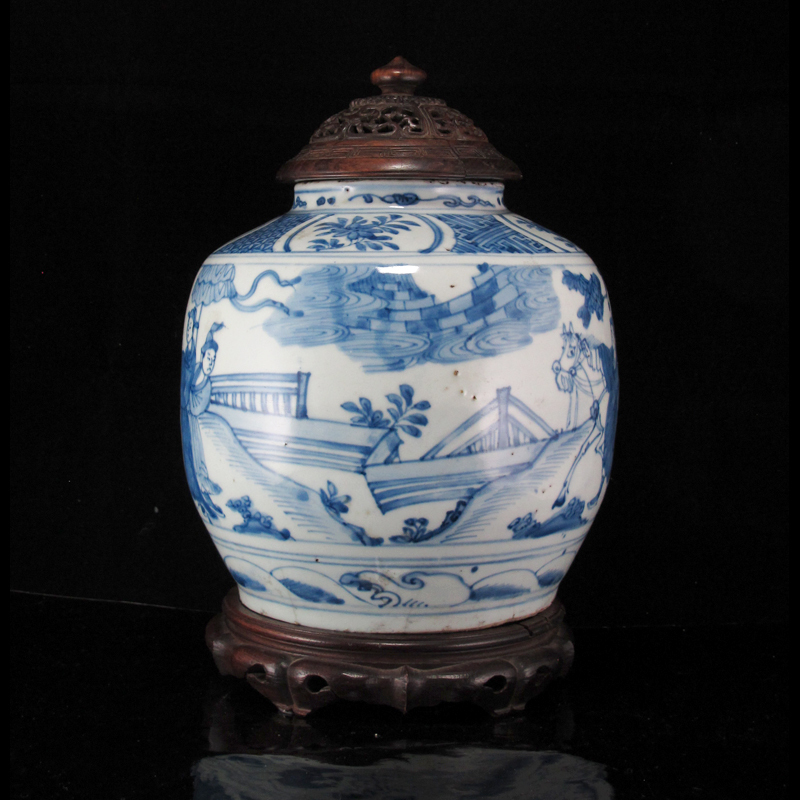 Jars of this type can be found in several museum collections (see New York Metropolitan Museum 17.118.2a, b, and British Museum 1984,0303.4). 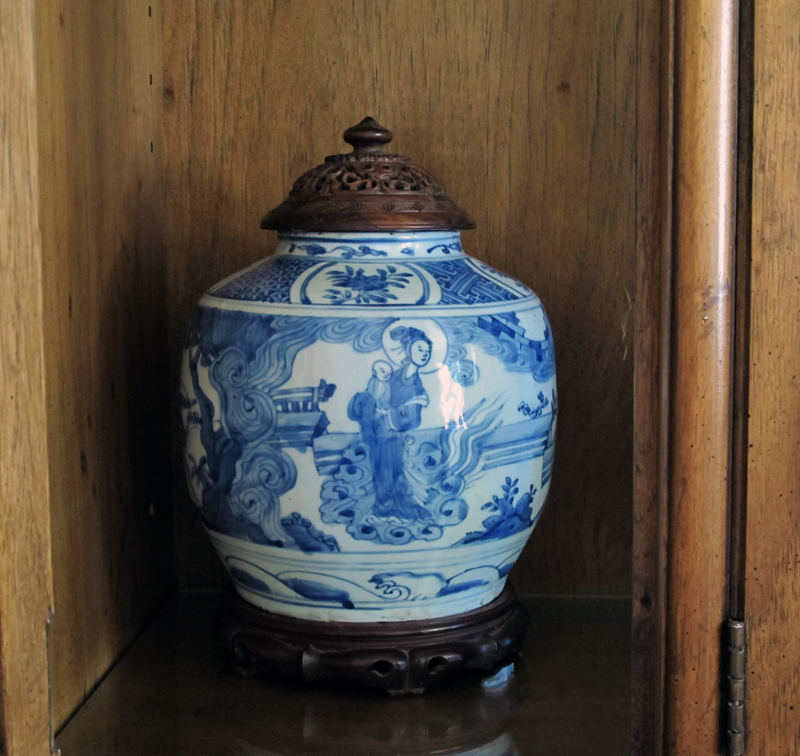 While this jar’s sea-wave motif to bottom and paneled shoulder is very common for late Ming, its central theme is quite rare: portrayals of the Bodhisattva Guanyin as a childbearing (“songzi”) Madonna-type figure only began appearing in the late 16th century, with the arrival of Jesuit missionaries in southern coastal China and the introduction of Christian iconography. 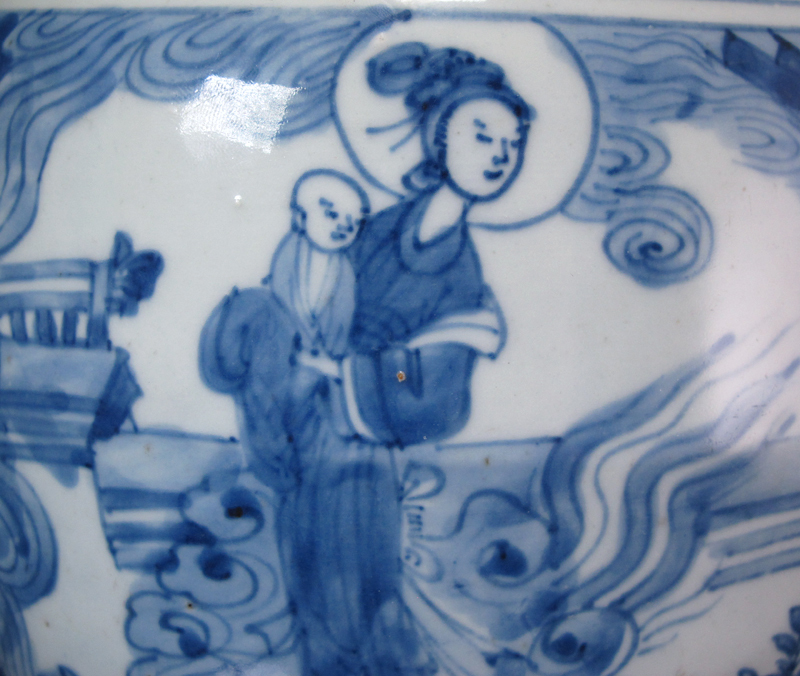 Until the late Ming period, images of Guanyin tended to be heavier-set and androgynous (often with male faces on female bodies), to emphasize the all-encompassing nature of the Boddhisattva. 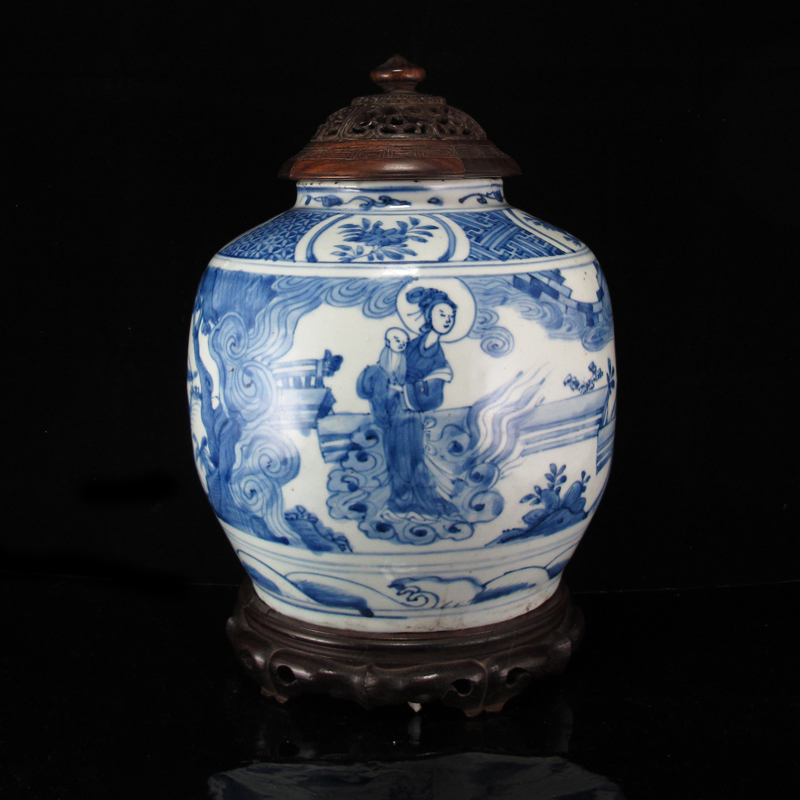 However, the Guanyin painted on this jar–with her elongated contrapposto form, pronounced halo, flowing robes, and child in left arm–suggest at some nascent European influence, and bears resemblance to many Renaissance images of Madonna and Child. 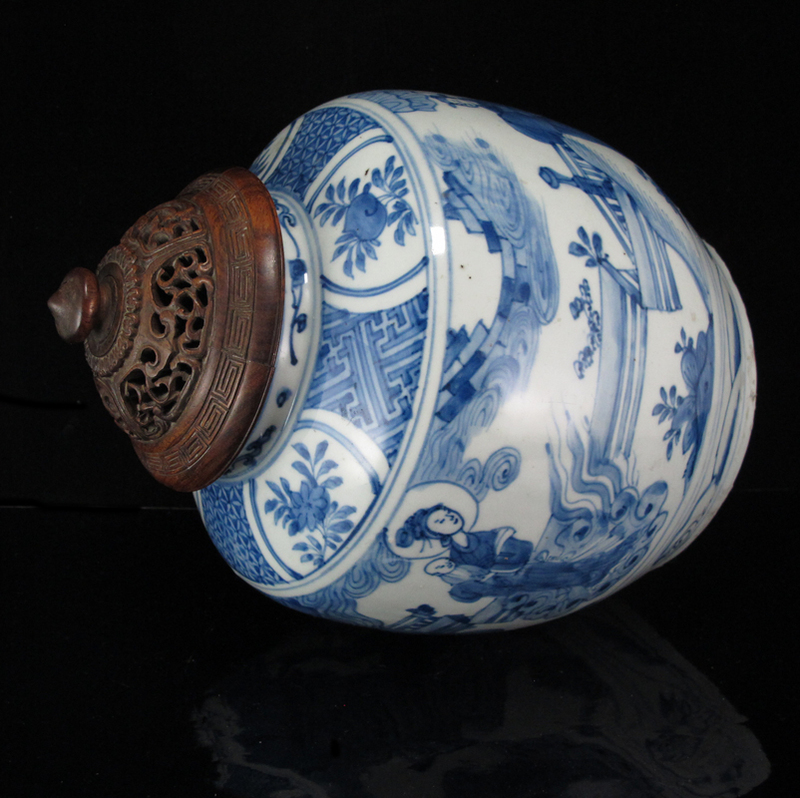 Antique wood stand and lid included.